✎ Dan Peña’s Top 10 Rules For Success. He lives at Guthrie Castle in Scotland. His QLA method has a track record that has produced over $50 Billion of equity/value, since 1993! He’s the Founder of The Guthrie Group, an investment consortium specializing in facilitating transactions. He had a distinguished career with the US army. 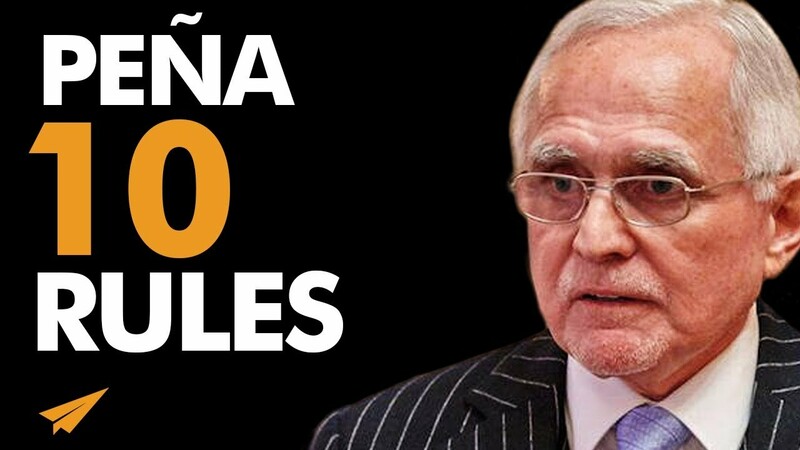 He’s Dan Pena and here’s my take on his Top 10 Rules for Success Volume 5! 1. where do you need to raise your standards? 2. where do you need to toughen up? 3. where should you focus on the few, not the many? ✎ More about Dan Peña. After service in the US Army in which he left as an officer in 1969, he received a BS degree in Business Administration. Upon leaving college, he worked in real estate. In 1982, he founded Great Western Resources Inc. (GWRI) with $820, a Houston-based natural resource company. He developed the QLA method which is based on his years of experience buying and selling businesses. He is also the founder and chairman of The Guthrie Group, an investment consortium. Before he founded GWRI, he was the Chairman of JPK Industries. He has been featured in many US publications such as the Los Angeles Times. He currently resides at Guthrie Castle, Scotland, the United Kingdom where he hosts his exclusive seminars. He participates in various charitable activities, like a “Faith Foundation” a Primary school in Rwanda.